Do you see the little white speck below the guard? That’s a home run ball that had landed deep in the bleachers and trickled down to the front. The guard couldn’t find it, so I pointed it out, hoping that she’d hook me up because there weren’t ANY other fans in sight . . . but no. Some other guard who was stationed at the top of the bleachers started yelling at her not to give it to me because I’d just gotten three balls, so she held onto it and gave it to the first fan to enter her section, who happened to be a middle-aged man with no glove. Hmph. 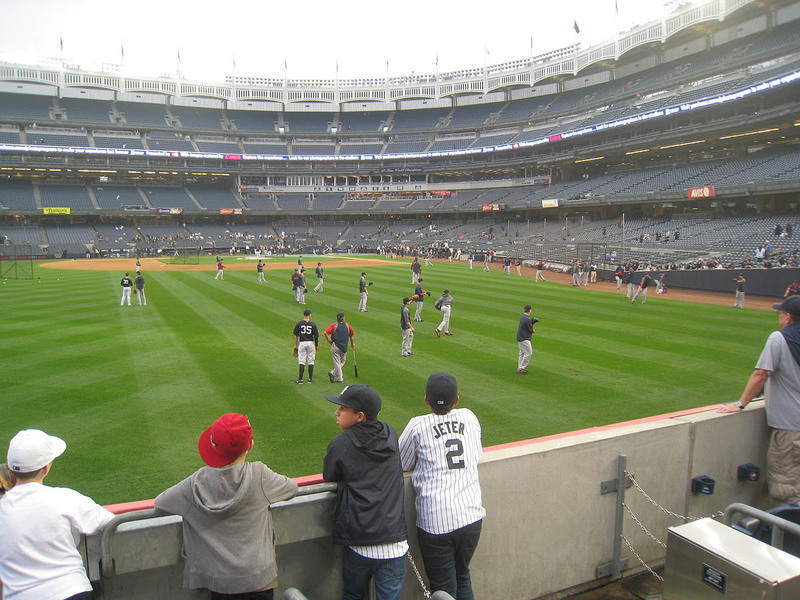 Then I headed to left field and gave one to a kid. Andrew Bailey tossed me my 4th ball of the day in the front row. 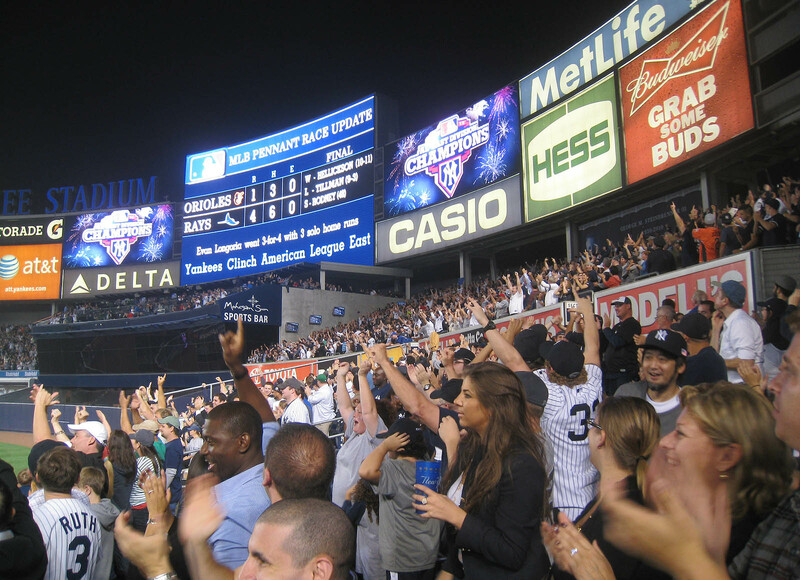 Then I moved to the back of the section and caught a Cody Ross homer on the fly. 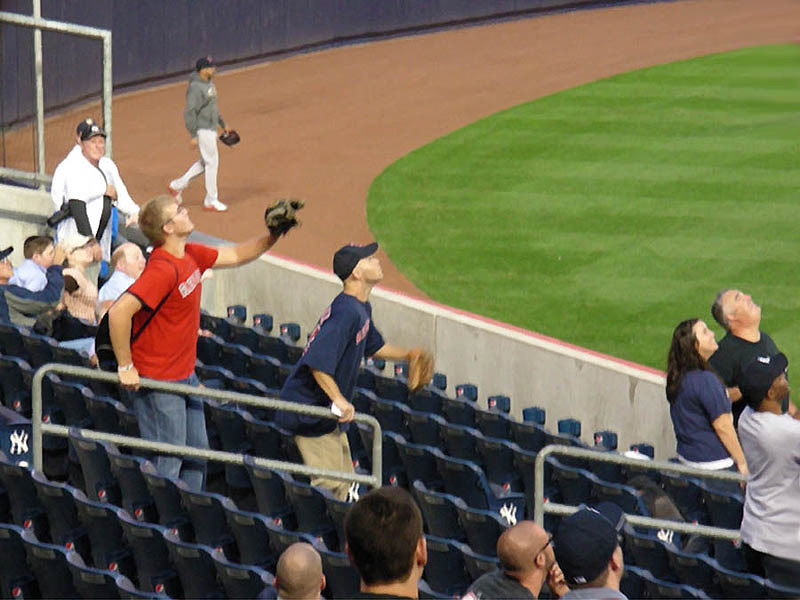 I gave that ball to the nearest kid, and then I caught three more homers on the fly. (No idea who hit them.) 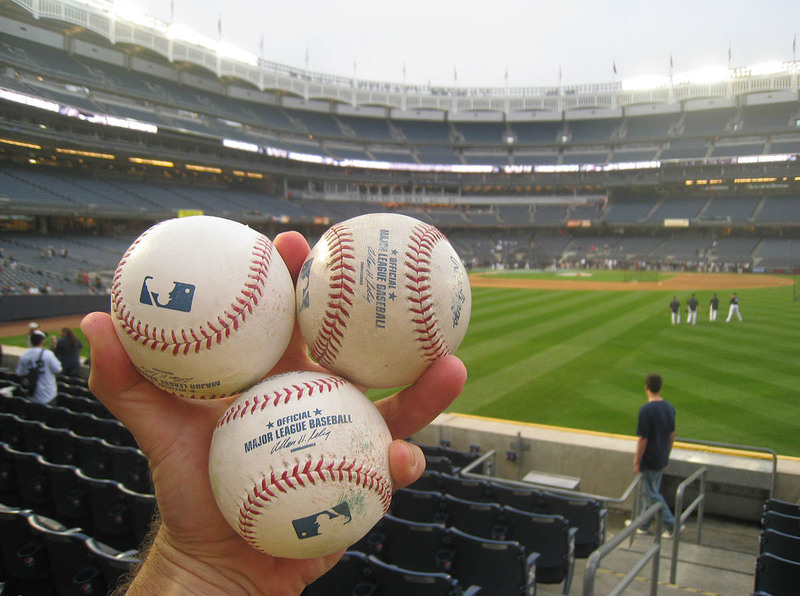 I tossed two of those balls to some kids in the front row of the bleachers — and I was only getting started. In case you can’t tell, I’m the guy wearing tan pants, and by the way, the fan in the red shirt is a friend and fellow ballhawk named Mark McConville. Part of me felt bad for him because he was right behind me for most of the home runs that I caught. The other part had no sympathy because he’d chosen to be there. 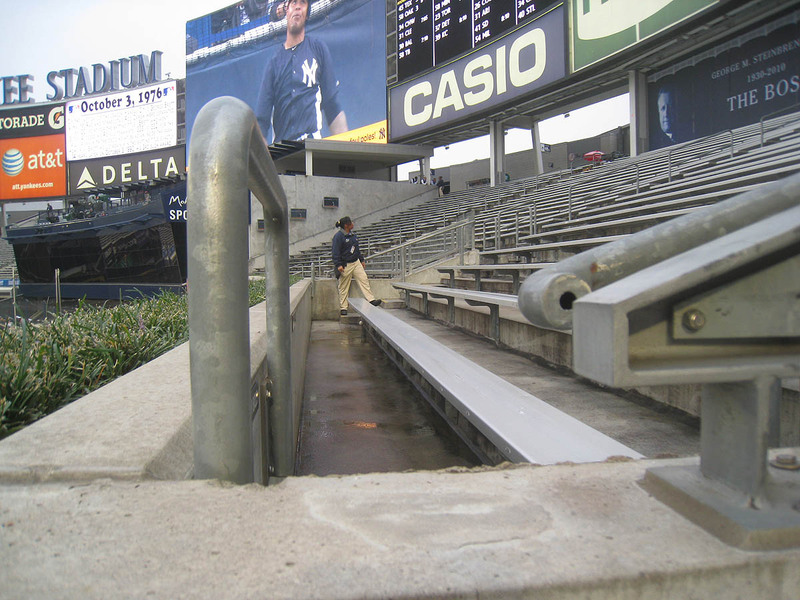 I mean, he could’ve been anywhere else in the entire stadium, and I even suggested (on more than one occasion) that he move to the next staircase. His response was simple: “It’s too crowded over there.” He was right. It WAS too crowded. We were clearly in the best spot. I just happened to end up in the slightly better spot. Now, just so YOU don’t feel too bad for Mark, I should mention that at the start of the day, when we were in right field, he caught two homers in front of me. I should also mention that he finished the day with five balls, including one that he wouldn’t have gotten without me. In Mark’s defense/praise, he was *very* respectful of me and my space. Whenever I was camped underneath a ball, he didn’t shove me or try to jump over me — not that I would’ve done that to him, but still, I just want it to be known that he’s a good dude. 3) When I cross out a ball, it means I gave THAT ball away. 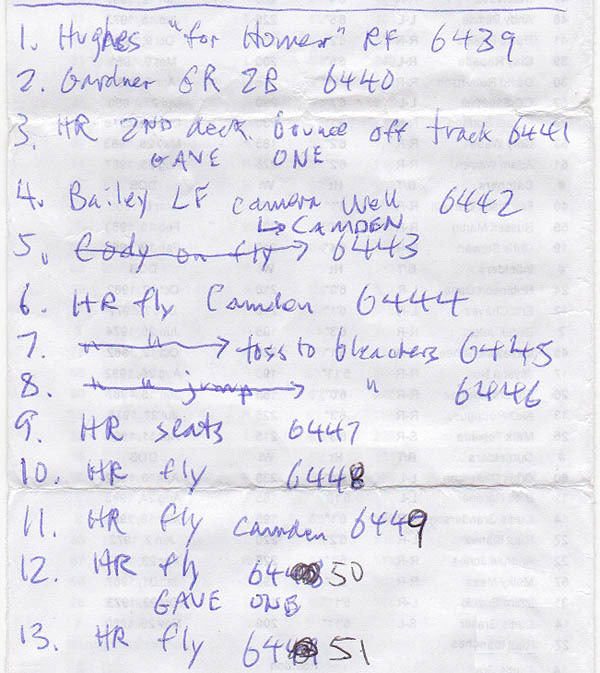 In addition to the three cross-outs, I also noted two other balls that I gave away. After my 3rd and 12th balls of the day, I wrote “gave one” in order to remind myself when it happened. 4) I was indeed standing in the camera well when Bailey hooked me up. 5) Nearly half of the Red Sox’s baseballs had the Camden Yards 20th anniversary commemorative logo, so whenever I caught one, I wrote “Camden” — that is, if I remembered or had time. 6) My 9th ball of the day was a home run that landed in the seats, so that’s why I wrote “seats.” I didn’t catch it on the fly. 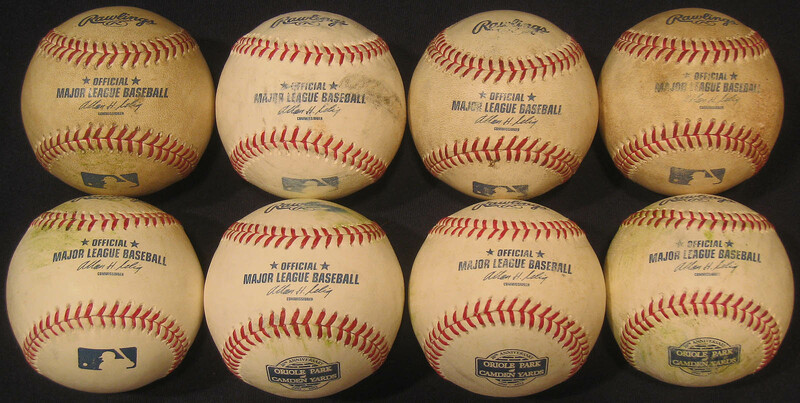 If you count all the balls that do have the word “fly” written next to them (or quotation marks under the word “fly,” as is the case with my 7th and 8th balls), you’ll see that I legitimately *caught* eight home runs. 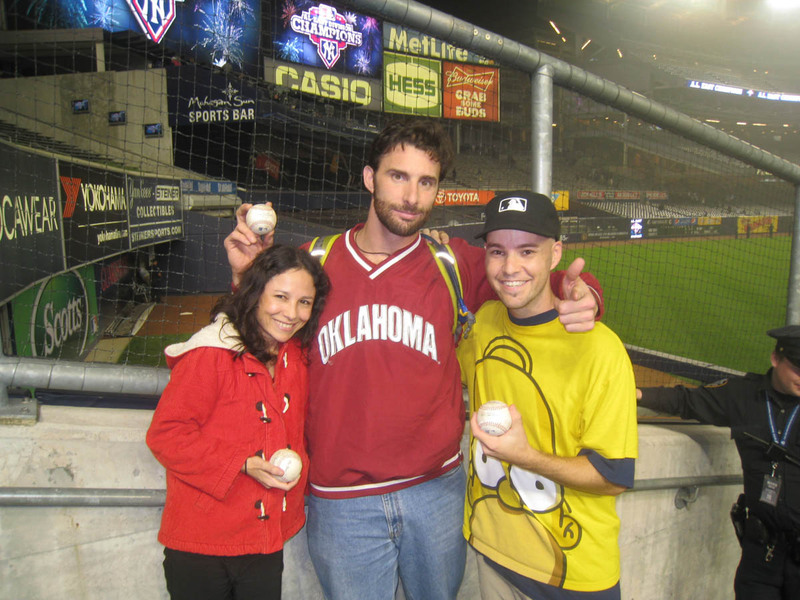 Including the ball that had bounced down from the 2nd deck and the one that I grabbed in the seats, I snagged 10 home runs. 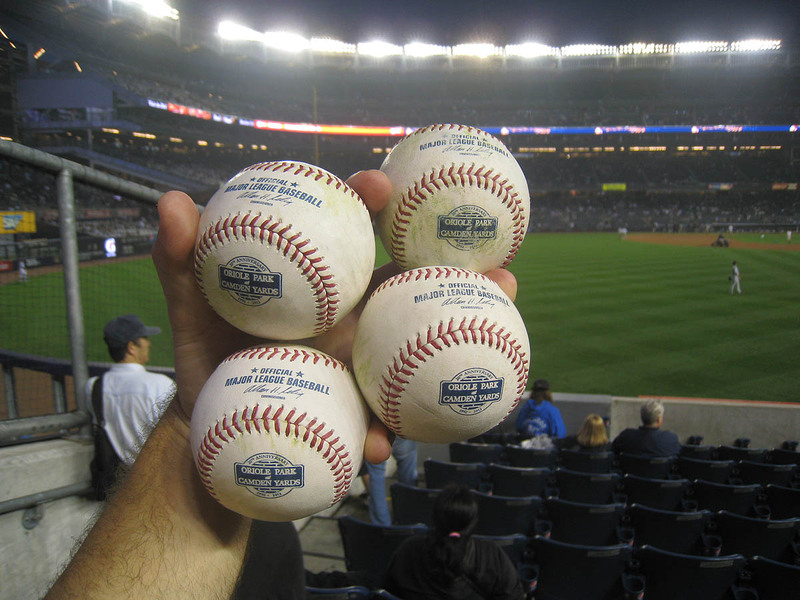 Including the Brett Gardner double, I snagged 11 batted balls. 7) After my 9th ball of the day, I mis-numbered my lifetime total. (For Ball No. 10, I should’ve written “6448” but wrote “6446” instead.) Everything got messed up after that, and I corrected it later with a different pen. To be clear, though, I knew exactly how many balls I had, and my lifetime total is accurate; I just had a little brain-fart along the way. As you can see, it was kinda crowded, but not THAT crowded. I had a little bit of room to run, but hardly needed it. 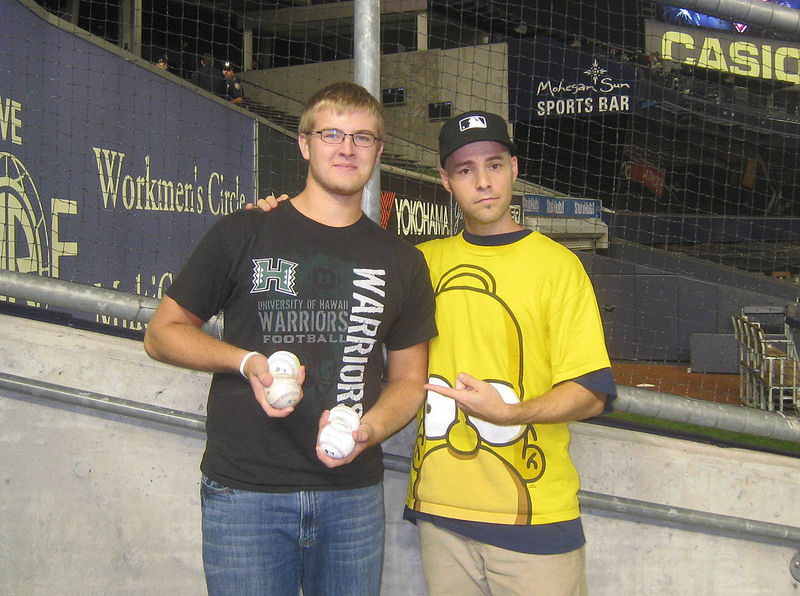 Most of the homers landed within five feet of where I was standing. It was incredible and almost unbelievable. I’d never had so many balls come right to me like that. For the record, no one was pissed at me for catching so many because I kept giving them away to little kids. I made sure not to give any of the commemorative balls away. 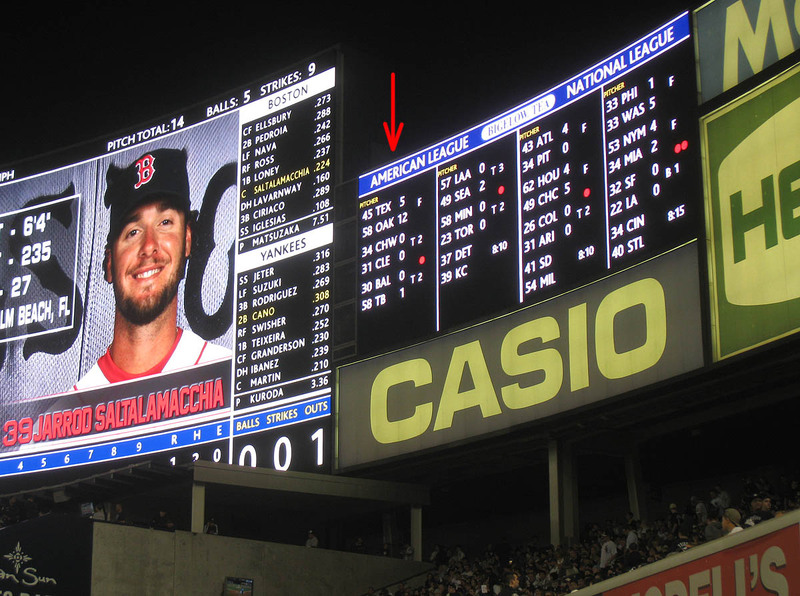 See the top score below the arrow? The A’s and Rangers began the day tied for first place. This was the first time that I saw the final score, and I was very happy about the outcome. I tend to root for underdogs. And I’m also sick of the Rangers. And, you know, George Bush. Meanwhile, do you see the score at the bottom of the column? The Rays were beating the Orioles, 1-0, in the top of the 2nd inning — a huge game because the Yankees began the day with a one-game lead over the Orioles. In other words, if the Orioles were to beat the Rays AND the Yankees were to lose to the Red Sox, then there’d be a bonus/163rd game the following day in Baltimore to determine the division winner. The man is incredible. As you can see above, he was 4-for-4 with two homers, six RBIs, and three runs, and to cap it off, he walked in his final plate appearance. Click the photo above for a closer look. 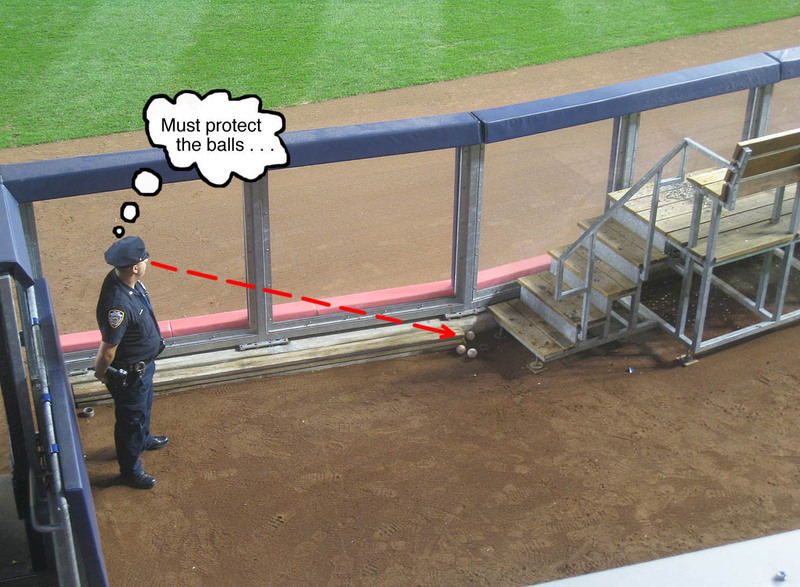 See the balls on the ground in the corner of the bullpen? There were half a dozen, and that guy left them all there. Why eight and not nine? Because I gave one of my Camden Yards commemorative balls to a security guard who’d been especially nice to me all season. • 633 balls in 78 games this season = 8.12 balls per game. 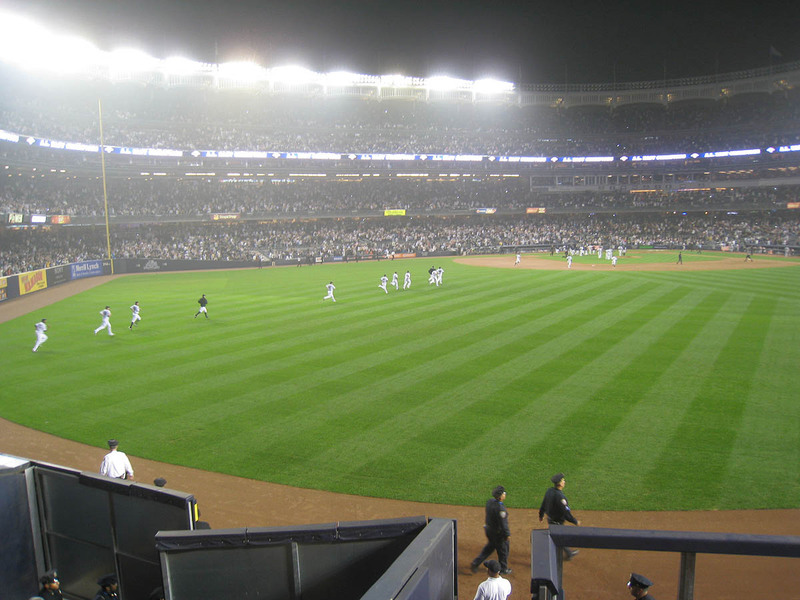 Finally, since people are asking about my post-season plans, I’m going to attend Game 2 of the ALDS tomorrow (Monday the 8th) in Baltimore, and I might make it to another game or two after that. Stay tuned . 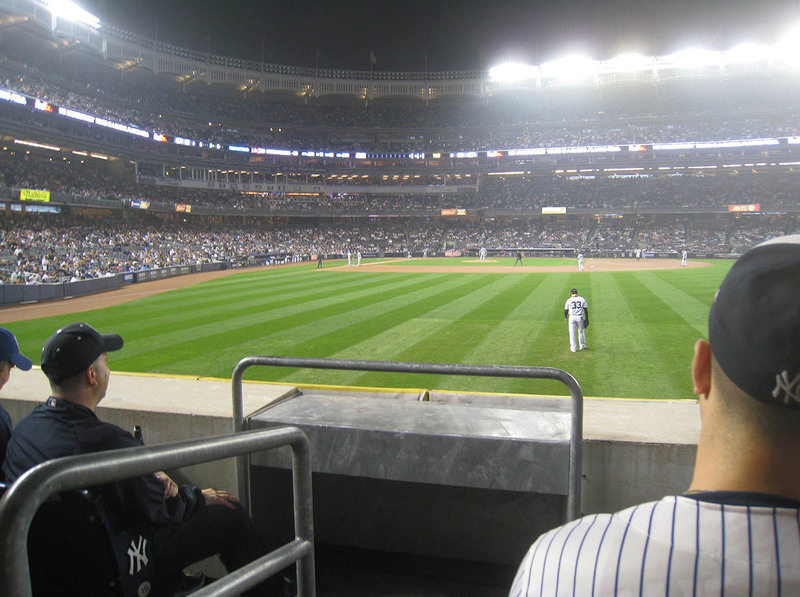 . .
One ball every ten seconds when you first get into the seats… it would be nice if every game was that simple. 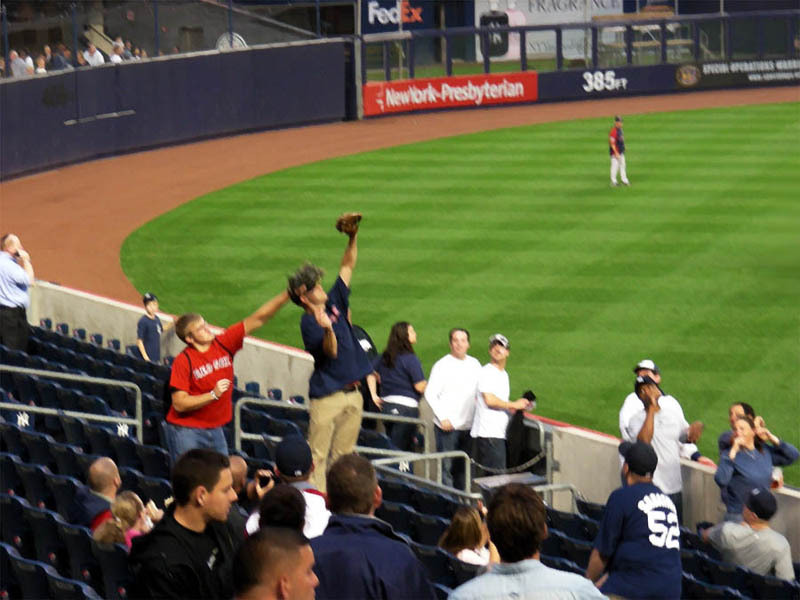 I plan on snagging a postseason ball on Tuesday. On another note, my dad just told me that if the A’s win on Tuesday, we will get season tickets next year. If they don’t win… I will be disappointed. The A’s are making me sad. Today’s game just slipped away. Pissed me of. I heard, but thanks for letting me know. Sometimes I miss stuff. That kind of pace is a little bit tricky to maintain. Yup. Cory. He’s the best. I predict that I’ll get one of the postseason balls at some point in the next few weeks, but it might not happen tomorrow. Well, I hope the A’s win. And I hope you get one of those balls. 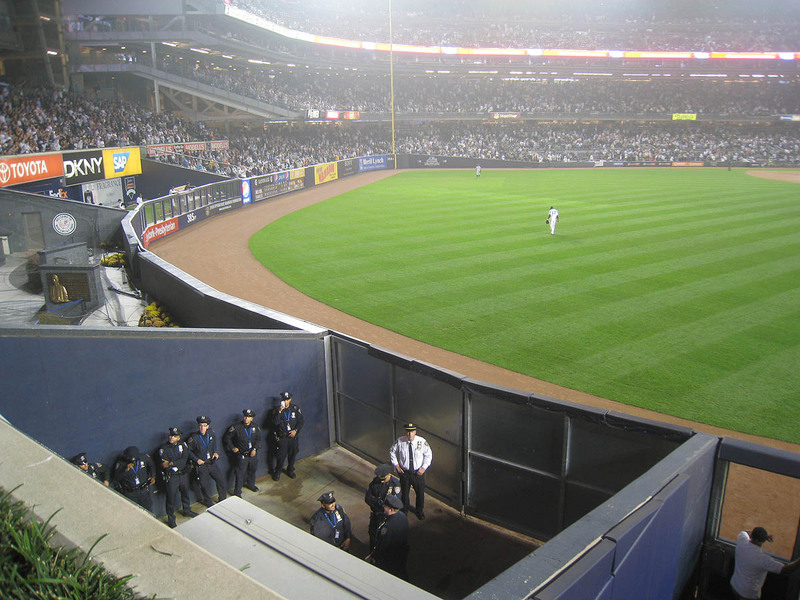 Was/Is Shea Stadium the only stadium to have a cross aisle in every level? Z-Man great post, going back to your experience at Turner and your gaseous exploits whenever you are in my car, you might benefit from a better diet or a good G-I doc. I have been there before though in stadiums. Earlier this year I arrived in KC and had a huge plate of greasy meatloaf, spicy green beans, and mashed potatoes along with some beers at a 24 hour diner and a couple hours later at the game I threw a hot dog with a ton of onions and a large diet soda into the mix. Old Big Glove Bob made it until about the 3rd inning before I committed an atrocity on the Kauffman Stadium facilities that will go down in history. I tell you grown men were in tears and children were scarred for life. I am hoping that the World Series will be in the Central Time Zone so I at least have an outside chance at attending. I like the fact that they have brought back postseason commemoratives. The logo is small and uninspired, but it is a start. I do like the 2012 World Series ball though. Going back to a few posts ago, I bought that real gold 2012 HRD ball when I was at the ASG fanfest. It is pretty cool and I got it for $115 so I felt that was reasonable. 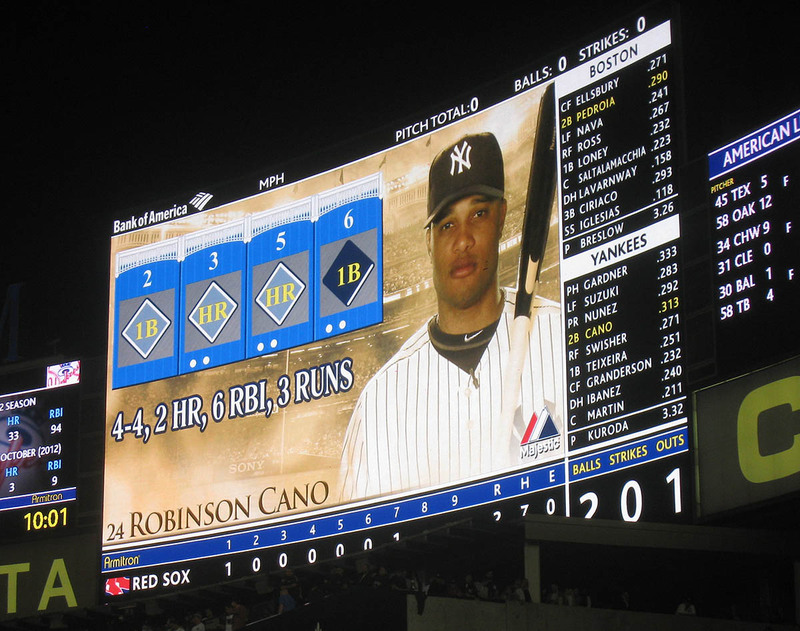 14 at Yankee?!? Pretty damn good! Hey Zach, Is the Astros stadium a good place to go to. How many do you snag usually? Not sure, but I doubt it. 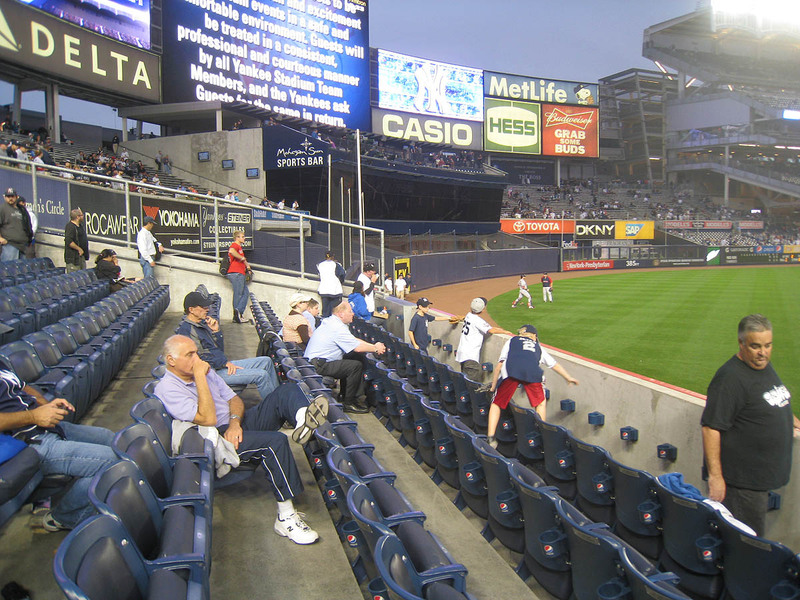 Most old stadiums had cross-aisles all over the place. Well, *I* hope the World Series is in Baltimore. Not really. I’ve gotten 35 balls in four games there, but that’s about average for me. 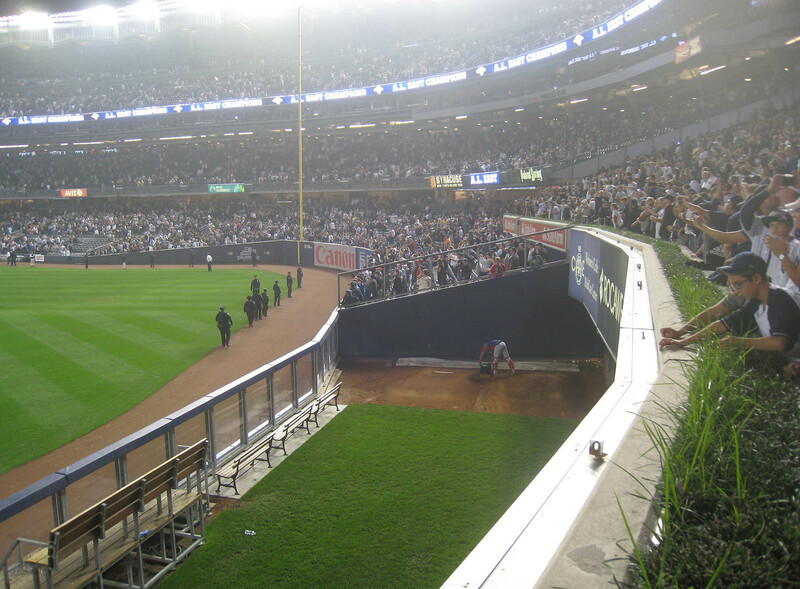 Left field gets crowded VERY fast, and right field is ruined by (a) the placement of the bullpen and (b) the unnecessarily long railings on the stairs. It’s a beautiful stadium, though. Ok. What is Detroit and the white sox like? Congratulations to Nick on those season tix!! Oh man! I just watched J. Zimmerman’s RBI single in game two! So awesome, one of the sweetest plays I’ve seen so far this post-season! Beltran earned himself a fine in the Kangaroo Court, undoubtedly. Do you think there’s a chance the Nat’s intentionally mixed their signs to juke him?